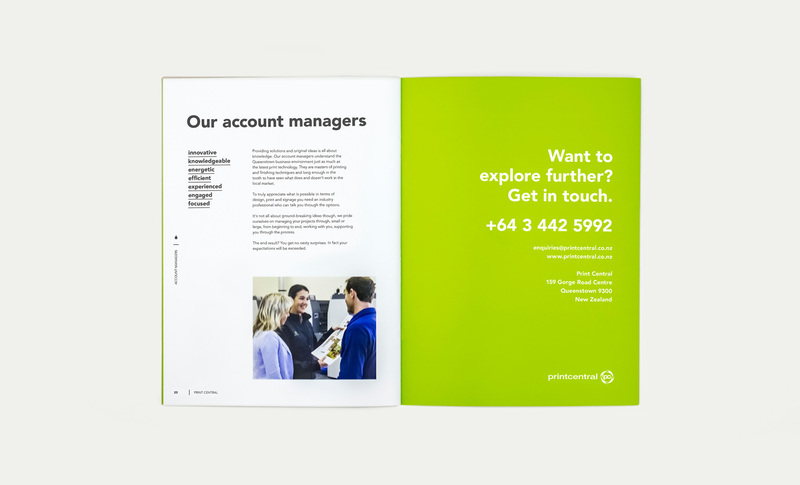 Print Central is a Queenstown, New Zealand based print company with a long tradition of being on the forefront of new and exciting technologies and processes, always striving to improve their knowledge. 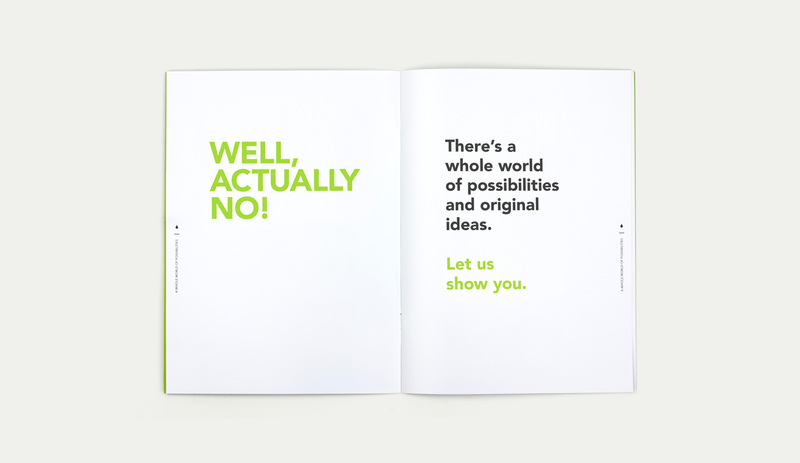 The brief: Come up with a campaign idea to get Print Central out of the often said to be fusty print company image. 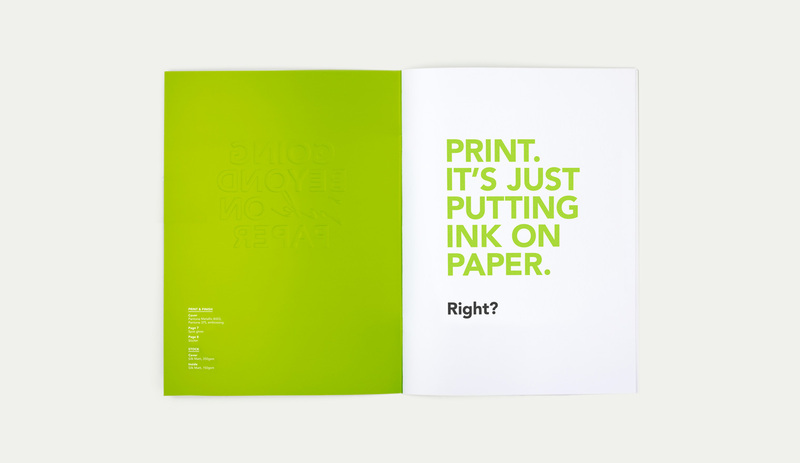 And show their clients how much Print Central has grown and how much more than the traditional printing they can offer. 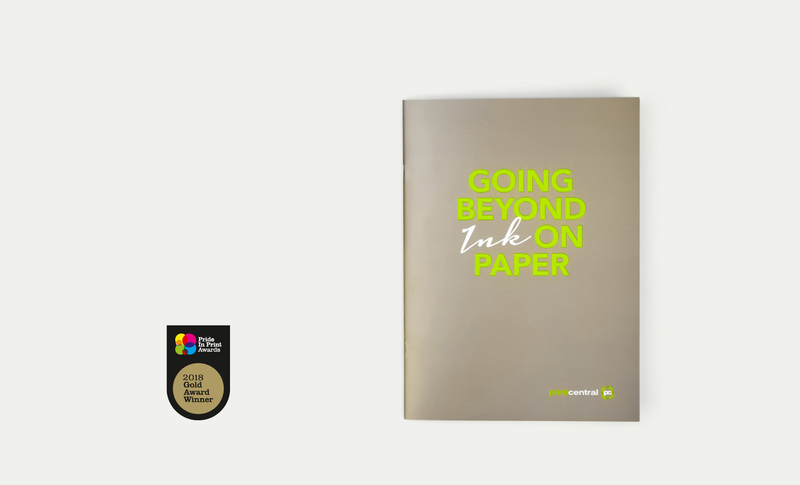 Our solution: We came up with the campaign slogan «Going beyond ink on paper» and designed a 24-page magazine style mailout, explaining what else Print Central can print on besides paper. 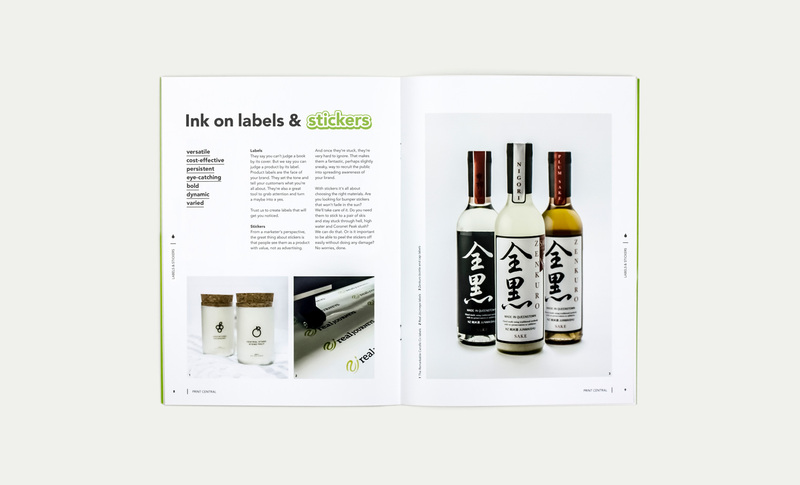 We also showcase various finishing effects like over gloss, metallic ink and embossing throughout the brochure. 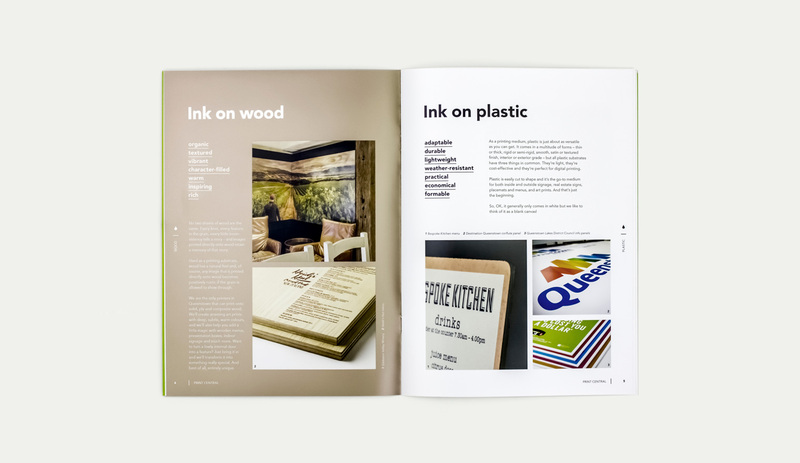 Additionally under the same umbrella «Going beyond ink on paper», we conceptualised ideas for follow up mailouts explaining the various formats and materials even further.